TEDxHimi would not be possible without its staff. This is the second blog entry focusing on the teams who are the driving force behind the scenes. TEDxHimi participants might think the most exciting part of the event is lunch or the after-party. A big portion of that excitement is due to our food and the team who works to encapsulate the flavors of Himi’s cuisine during the event. We’d like to introduce Mrs. Fujimori who supports the Food team! Hi, I am Miyoko Fujimori. I lead the food team for TEDxHimi. 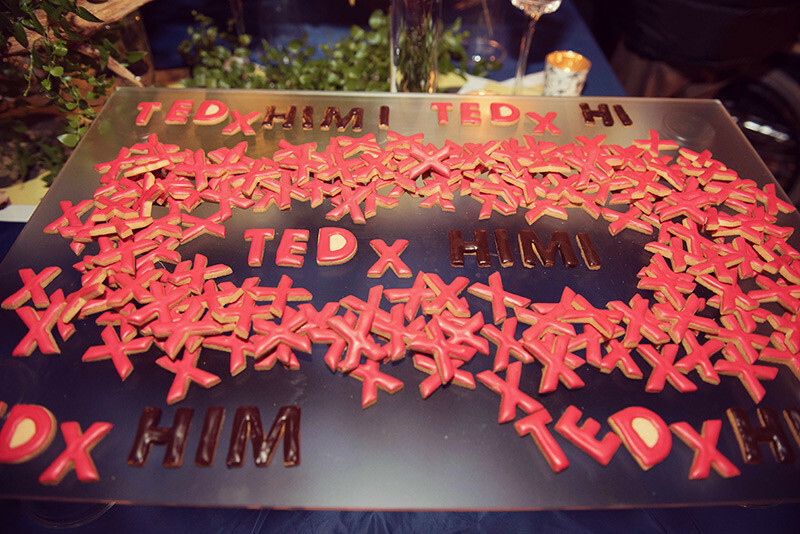 Why did I decide to participate in TEDxHimi? I decided to participate for a simple reason: I wanted to accomplish and experience something with people of the same mindset. The reason why you participate in TEDx does not matter. For example, you may like TED talk videos or certain speakers, or you may just have some time to volunteer. So for me, it was natural to be a part of something like TEDxHimi, and it feels great. From the start, I knew I wanted to contribute to the TEDx event that was being held in Himi. I just didn’t know what I wanted or could do until the very last minute. Even though this is like a job, there is no payment because I volunteer. I participate in this activity on my own, in my own time. I think that the most important thing is to do whatever I can to help. I ended up choosing to help the Food team because TEDxHimi attendees feel the city, people, and the seasons of Himi through the food that they will eat. I wanted participants to know that local food in Himi is wonderful, and to remind them that there are so many amazing things to see and do in Himi. The power of food is strong. The taste and aroma of a cuisine is retained in a person’s memory. During the last event, we paid careful attention to the visual presentation of our food, which was complimented by many. I am looking forward to hopefully impressing participants again with the creations that we come up with for this upcoming event. I think the best part of being on the Food team is this how it makes you feel. You feel alive and invigorated as you watch everyone’s reactions when they see and eat the food you prepared. This feeling is easy to become addicted to and is one of the best parts of being on the Food team.